THE camper for YOUR pickup ! With an average weight of 300-350kg depending on equipments, XPLO Campers offers a lightweight removable pickup truck camper, enabling the truck to keep its off-road qualities; and this despite a surprising interior comfort ! 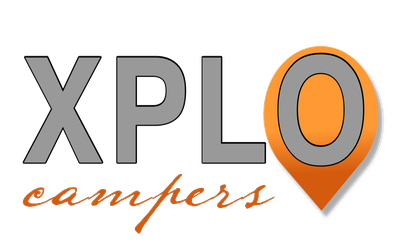 Ask for more information about the removable pickup truck camper from XPLOCampers. Whatever your pick up truck, newer or older, the removable camper from XPLO Campers will fit without problems: Toyota Hilux, Ford Ranger, Nissan Navara, Isuzu D-Max, Mitsubishi L200, Volkswagen Amarok, Mazda BT50, but also the US pickup trucks (Ford, Dodge, Chevrolet, GMC...), or even the small Dacia Logan pickup and Fiat Strada, and future Duster pickup (Oroch) and Renault Alaskan. With a "key-turn" price -including 20% french VAT- among the best on the market your outdoor vacation will never have been so attractive ! In couple or with child(s), in the mountains for a few days, or weeks of adventures abroad, find the taste of freedom, at the best price... !